Kaos Studios has updated the PlayStation 3 version of first-person shooter Homefront with a patch. PS3 owning players of Homefront, which launches in the UK today, have reported freezing issues – the patch fixes those. Kaos is working on a title update for the Xbox 360 version, which it claims has seen "far fewer issues" than the PS3 version. 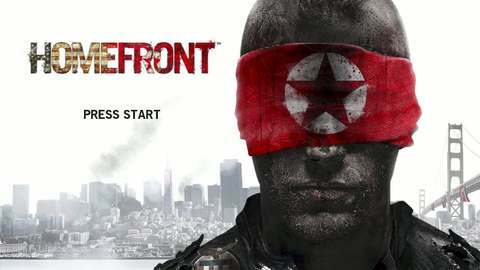 "We have seen reports of an extremely rare issue whereby Xbox 360 owners can no longer connect to the game at all with their preferred profile," reads an update on the Homefront website. "This affects just a handful of the several hundreds of thousands of Xbox 360 players we're tracking, but if it's affecting you, please email THQ support directly at support@thq.com with a full description of the problem so we can identify you." The PC version "is looking pretty robust right now". Kaos has released a small hotfix to address "a couple of minor issues". A more impactful patch is planned for launch in the near future. "We want to stress that Homefront is one of a tiny handful of titles offering dedicated server support on console, and the infrastructure and networking code required to support this is much more complex and demanding than simple peer-to-peer matchmaking you see in most other FPS games," Kaos said. "The pay-off is larger maps, more players, and an equal playing field for all – something we believe is critical for fair, balanced online FPS gameplay. "Every game that goes the extra mile to provide dedicated servers faces additional teething problems in the first few days as the kinks are ironed out, but please bear with us as we address these – the result will be worth it. "Once again, we apologise for any disruption to your gaming, and thank you for your patience and support."